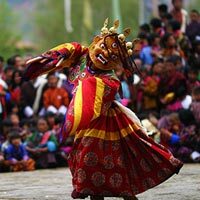 Our Guide from Exotic Vacations Bhutan will receive you at the Airport and drive to Thimphu. Visit Tamchog Monastery on the way. Dinner and overnight in Hotel Meri Puensum. 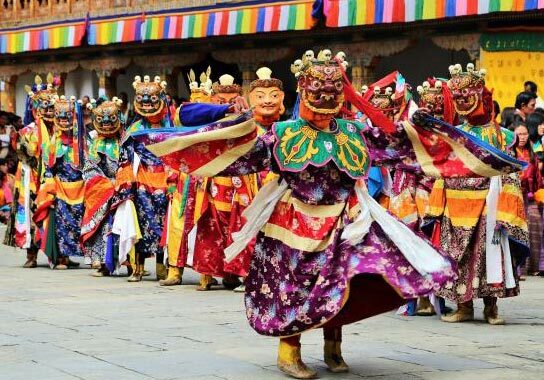 Punakha – Talo Tshechu: The Thongdrel will be unfurled early in the morning and then the different mask dances and folk dances will take place. In the afternoon, hike to Khamsum Yulley Lhakhang. Dinner and O/N in Meri Puensum Resort or similar. 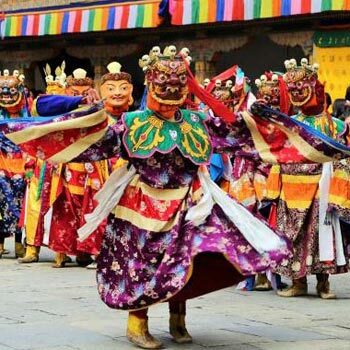 Gangtey – Thimphu (Altitude 2320 m) (143 km, 6 hrs. )After breakfast, drive to Thimphu. Lunch, will be served on the way. In the evening, free for shopping and photography in the town. Dinner and overnight in Hotel Migmar or similar. 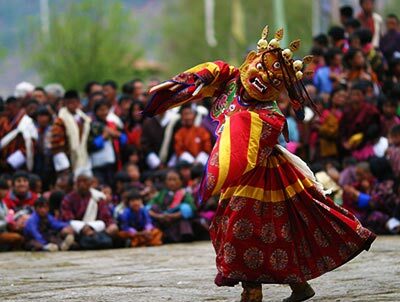 Thimphu – Paro: (Altitude 2280) (Distance 54 km, Drive Time 1 hour): After breakfast, drive to Paro. Paro Departure: (Altitude 2280 m) Early morning, drive to the airport and farewell. Air Tickets, guides and driver tips,personal expenses.